Wando Welch Terminal at South Carolina Ports Authority. 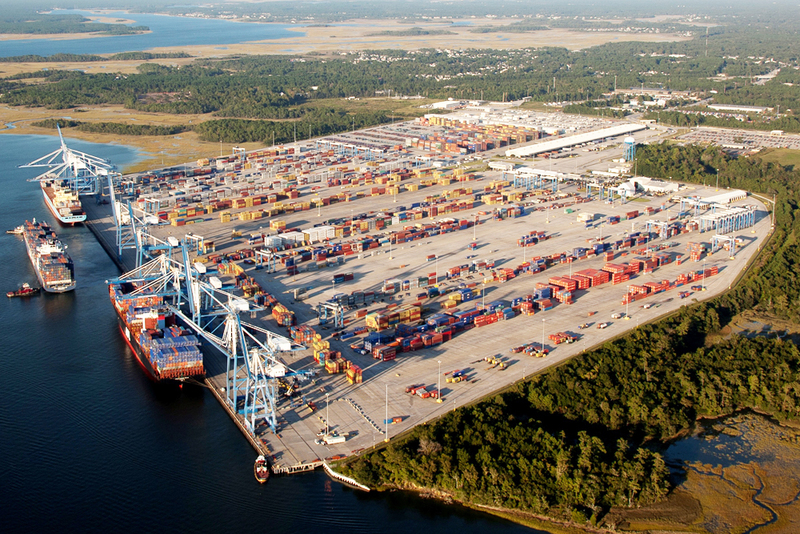 The South Carolina Ports Authority (SCPA), which operates the harbor port in Charleston and two inland ports, experienced its highest container volume for the month of February in its history, according to a press release issued by the authority on March 20. In addition, in the first eight months of this fiscal-year growth has reached nearly 12 percent. The current statistics are indicative of growth that has been taking place over the last several years, Barbara Melvin, SCPA’s chief operating officer, told Palmetto Business Daily in a telephone interview. Several factors come into play, Melvin said. For one, the port has a geographical advantage. “In general, in the United States, when you look at where the population is moving, where things are still being grown and manufactured, the Southeast has that,” she said. Melvin also noted that the expansion of the Panama Canal has given the East Coast additional access to Asian ships, a boon for all Eastern ports. As the deepest of the Eastern ports, South Carolina’s benefits accordingly. Most crucial to its recent growth, Melvin said, is the fact that Charleston's port does its job well. After all, she said, shipping, unlike manufacturing, is a highly mobile industry. It is not the same as building a factory, which sits where it sits and is difficult to move. With that in mind, she said, the SCPA has maintained a “very focused, strategic picture on how to grow our port,” including investing in infrastructure — which includes transportation inland. The port’s growth trajectory over the last few years has not only allowed it to increase its headcount of workers directly employed in its own operations, but it has also been a boon to employment in associated industries, she said. Additionally, as the SCPA handles more volume with greater and greater efficiency, it helps attract an increasing amount of foreign direct investment in the state, Melvin added.